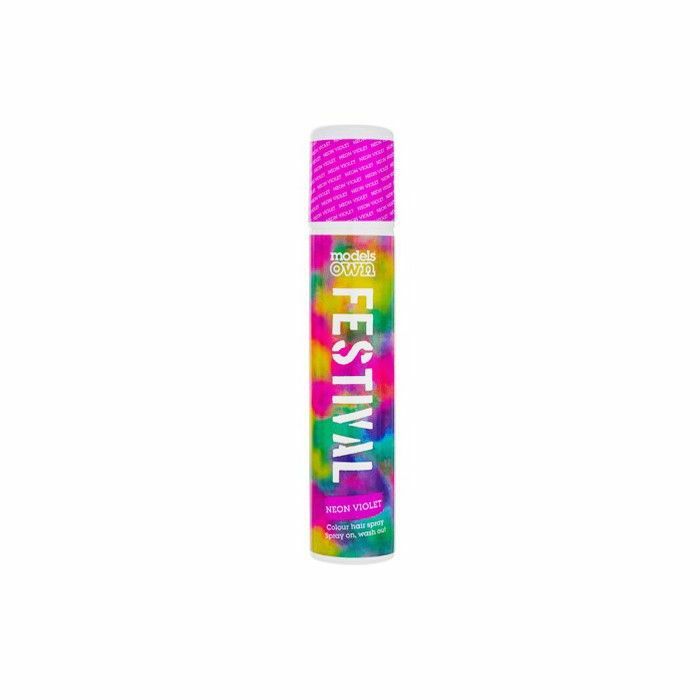 Festival season is quickly approaching, and it's got us thinking about our beauty looks. There are many beauty trends that come to mind when we think of music festivals: flower crowns, crop tops, flash tattoos. 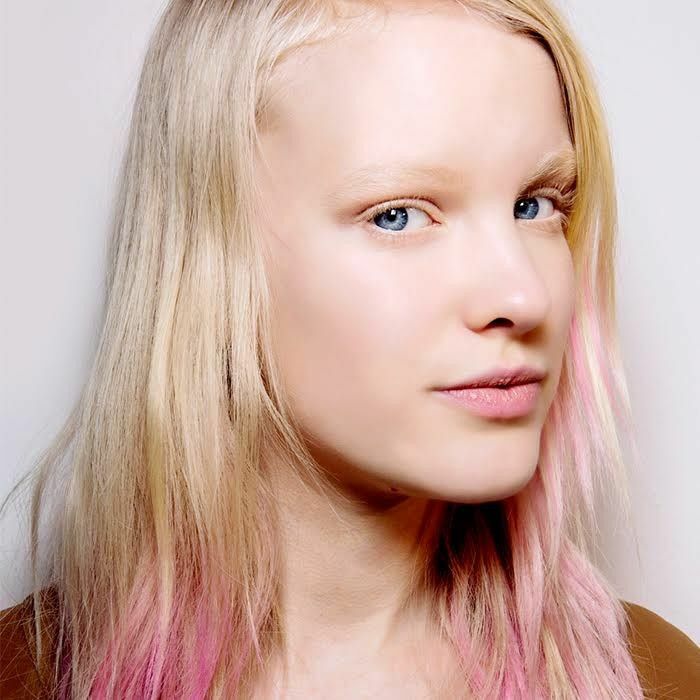 But there’s one trend in particular that we can’t wait to rock this year: vibrant temporary hair color. Colorful hair is a great way to express yourself, but permanently dying (and damaging) your strands isn’t for everyone. Hair chalk is an easy and affordable option, but it can be very messy and doesn’t always stay put. That’s where our list comes in. We’ve rounded up seven of the best hair chalk alternatives that bring bright color with staying power (but not too much staying power). You no longer have to worry about whether or not your top is wearing more color than your hair; this year, you can just enjoy the music. Keep scrolling to see our top temporary hair color picks! Spray-on hair color tends to rub off on anything it touches, and it can leave your hair stiff, but this product is completely different. Not only does it come in five colors—Fiery Coral, Mermaid Blue, Orchid, Pink, and Sapphire Blue—it also has specks of glitter. Plus, it shows up on all hair colors, from blond to black, while staying vibrant. The color lasts up to three days, or until you shampoo it out. Mix and match different colors, or stencil in a design for the perfect festival-ready look. If you want bold color and to keep your hairstyle in place, this is the product for you. With 11 colors and three different finishes—metallic, matte, and neon (which glows under black light)—the possibilities are endless. The gel dries hard but washes out easily at the end of the day. A mix of a toner and conditioner, this product is great for those with already colored-treated hair. Available in three shades (Bossy Blue, Violet Vixen, and Pushy Pink), it makes a great color refresher that eliminates brassy tones while given strands a boost of hydration. Don’t have colored-treated hair? You can still use it! The results will just be more subtle. The color lasts between five and 10 washes. 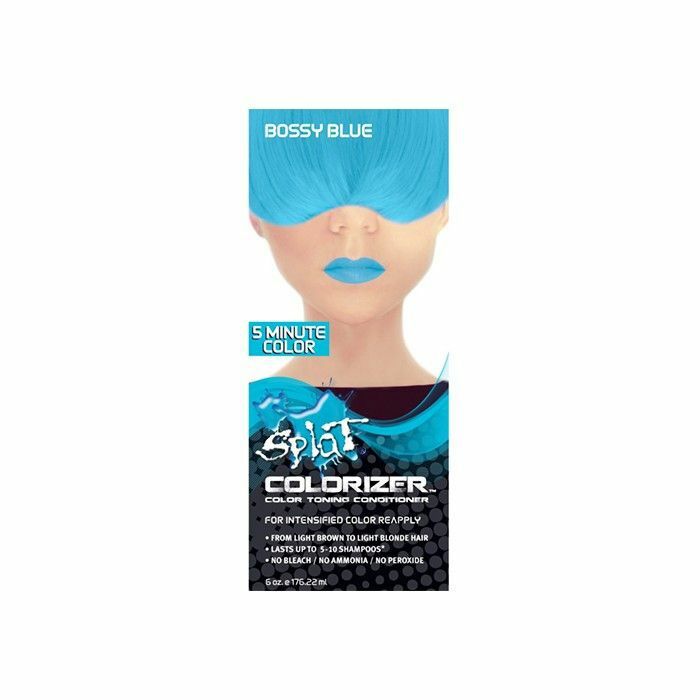 Perfect for those who are just looking for slight hint of color, this liquid hair dye allows for precise application without the mess. Bold streaks can easily be achieved without flaking, fading, or staining. 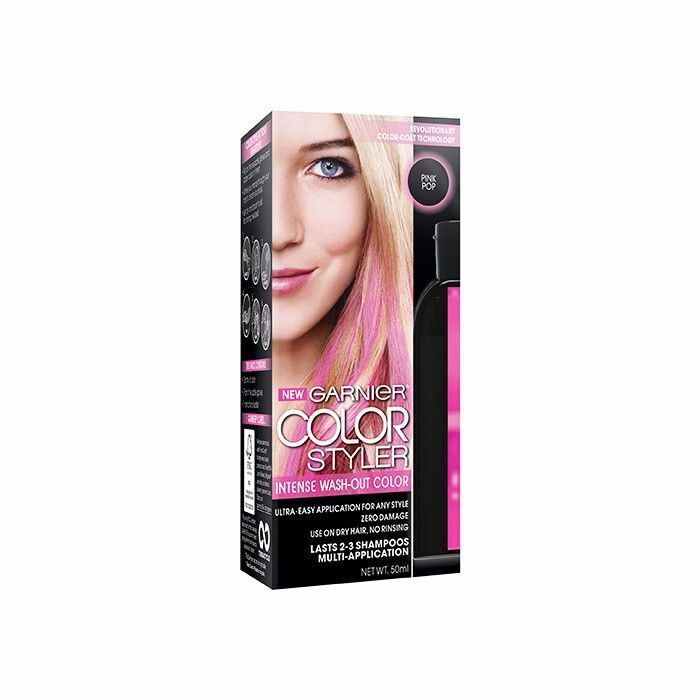 It comes in two colors—pink and purple—and washes out quickly; it works best for those with lighter hair. Clay pigments deliver bold color without the damage or commitment. The process of application is similar to other box hair dyes, in that you need gloves to apply the product to strands, but once hair is dry, it won’t rub off. 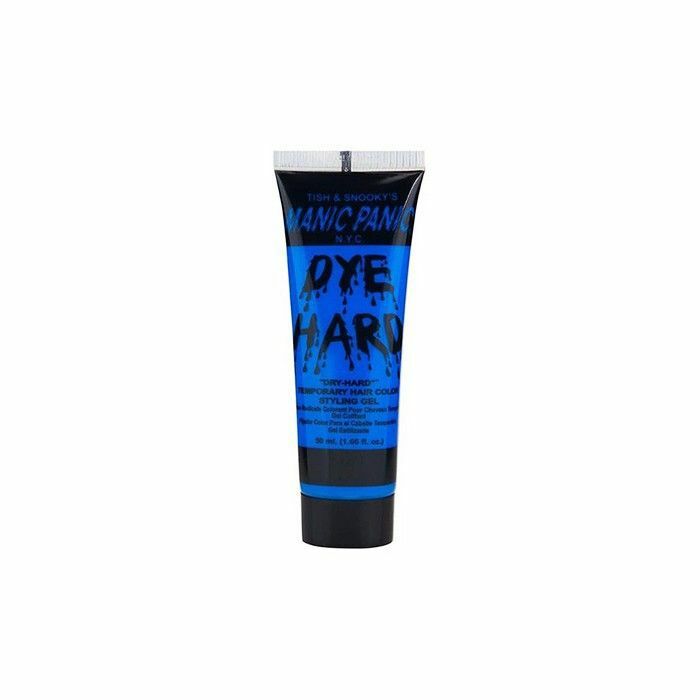 The dye washes out in two to three shampoos, and is available in five shades: Blue Burst, Bronze Attitude, Pink Pop, Purple Mania, and Red Temptation. 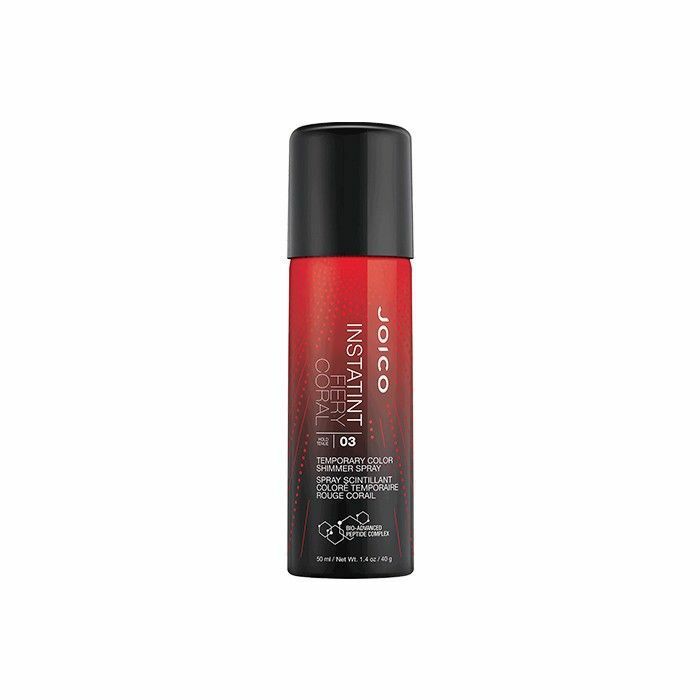 Lightweight and very pigmented, this hairspray is the perfect mix of light hold and bright color. It’s available in four shades—Neon Blue, Neon Orange, Neon Pink, and Neon Violet. The spray won’t leave your hair stiff, and the color comes out in the first wash. 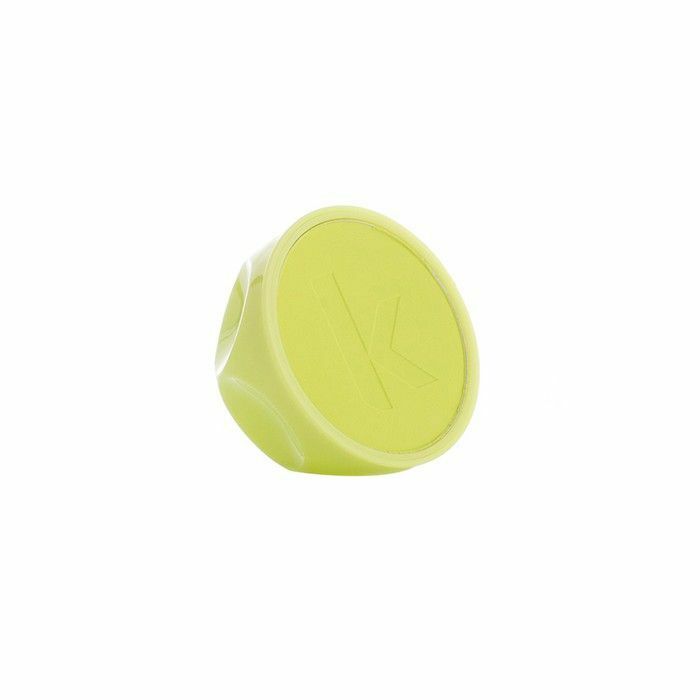 This product is an elevated form of hair chalk: The pod applicator allows for mess-free application and bright results, regardless of hair color. It’s available in Pink, Orange, Purple, White, Neon, and Shimmer at select salons. (Find one using their retail locator.) Dampen hair slightly with product (hairspray, surf spray, or paste) for best results. When the color dries, it looks very natural, as if it was actually dyed that color. The product washes out instantly and leaves no residue behind. Bonus tip? Spraying a bit of dry shampoo after applying the color creates a pastel look. Now read some of our tips on how to make your makeup last all day.